Recipe Unlimited says it will dump plastic straws because of their impact on the environment and wildlife. 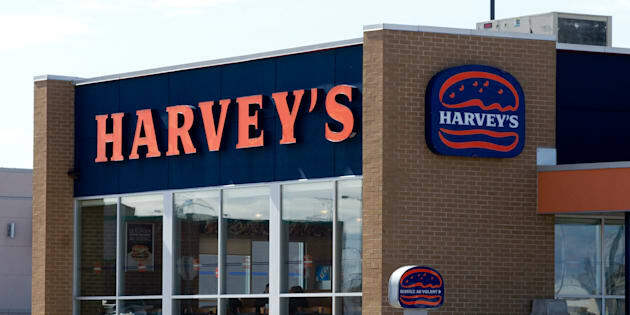 A Harvey's fast-food restaurant is pictured in Quebec. Parent company Recipe Unlimited hopes to offer paper straws in all of its restaurants by the end of March 2019. VAUGHAN, Ont. — Recipe Unlimited Corporation will eliminate plastic straws from its 19 restaurant brands including Swiss Chalet, Harvey's, Kelsey's and East Side Mario's. The restaurant giant formerly known as Cara Operations will start phasing out its plastic straws in August. Recipe Unlimited says it will dump plastic straws because of their impact on the environment and wildlife and the company's commitment to recyclable materials. It hopes to offer paper straws in all of its restaurants by the end of March 2019. The compostable and biodegradable straws will automatically be provided with drink orders at the brand's quick serve restaurants, including New York Fries and St-Hubert. Patrons will have to request paper straws to receive one at its full-service restaurants like the Pickle Barrel and Milestones.